Are you currently buying or selling a home? Then you probably already know what a complex process it can be. Finding a professional to work with you every step of the way can not only make the journey much less stressful, but also put more money in your pocket. But how do you choose the best agent for you? No doubt you’ve seen online ads, mailers and even signs on park benches for real estate agents active in your area. Maybe you even feel a little overwhelmed trying to decide with whom to work. No matter if you are buying a selling a house, we think these are the best ways to find and choose a real estate agent. Has a family member or close friend recently bought or sold a home in your neighborhood? That can be an excellent place to start. They’ll be able to provide a personal referral and an honest evaluation. From there, you can set up a time to meet the agent in person and determine if they will make the best partner for you. It’s important when choosing an agent to research whether or not they are licensed in their state. 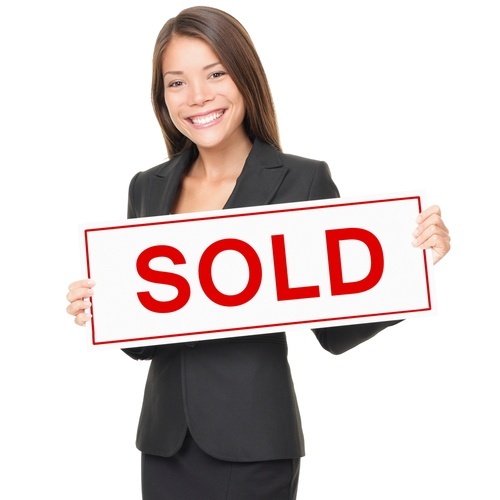 Obtaining a real estate license requires an agent to pass both state and national exams. An agent’s license status can typically be looked up online. You’ll also want to research whether or not any disciplinary action has been taken against them and how long they have been in business. If possible, choose an agent that has at least five years of experience in your market. The knowledge they have about the specific ins and outs of your neighborhood will be invaluable. A professional real estate agent should have no trouble providing references so that you can speak with recent clients. Ask for contact information for a few clients, and don’t be afraid to call them up and ask them about their experience. This will give you insight into how the agent works with clients and what you can expect along the way. Not sure what to ask? Here’s a great questionnaire. Does the agent have a website? Are they active on social media, like Facebook, Twitter and Instagram? It is essential that any real estate agent working today has all the technological tools at their disposal, and uses them with a certain level of expertise. Most people who are buying or selling a home these days begin the process online, and you want to make sure you have all those resources available to you. Check out the agent’s current listings to see if they handle homes in your area and price range. If you’re dealing with a distressed property or foreclosure, you will also want to make sure they have experience closing these types of deals with banks, as the paperwork can be more complicated. After interviewing and researching a few agents, you may still have trouble choosing, especially if they seem to be fairly even in most regards. In this case, go with your intuition. Buying or selling a home can be a long process, and you’ll want to partner with someone you feel comfortable with and trust.